Spacious, graceful and incredibly well-appointed, the Rolls-Royce Phantom V is one of the most exclusive and sought-after cars produced by the luxury British manufacturer. This convertible 1967 Phantom V State Landaulet was commissioned in 1966 by Nicolae Ceaușescu, the communist leader of Romania, before ending up under the ownership of Pittsburgh car collectors Dr Erle M Heath and his wife, Bonnie. 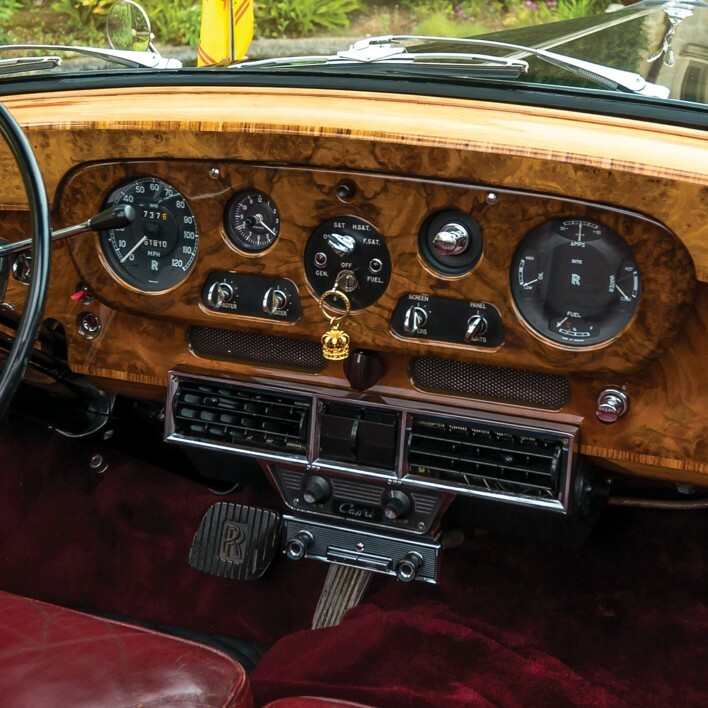 The Heaths cared for it, drove it on a regular basis and, remarkably, lent it to the government of Bermuda in 1975 to transport Queen Elizabeth II. Today, the Phantom – offered without reserve – remains in perfect condition, largely unrestored and with all of its original accessories including the bespoke refrigerated wine cooler and dual air conditioners that Ceaușescu had ordered, making this the most expensive Phantom V ever built.